The Eiffel Tower is, with the Statue of Liberty, the most well-known work of Gustave Eiffel and his team. It was completed in 1887 for the Paris world exhibition. British and American architects had been toying with the idea of a building that would be “1000 foot high”, a true challenge at the time. 1000 foot is 304.8 metres. 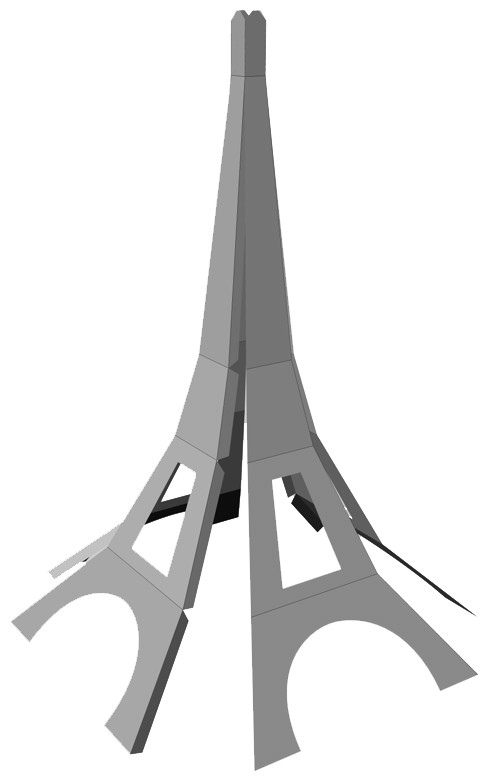 The architects in Eiffel’s construction company therefore quietly proposed a 305m tower as entrance gate to the exhibition grounds. The actual height is slightly more now: 324m to the tip of the antenna. The tower is built of steel and extremely light: it weighs only 7'100 tons (not counting the restaurants and the tourists). It could actually be lighter still: the round arches between the feet are purely ornamental and are hanging from the first floor, they do not support anything and have no structural function! They were added “to make it look better” to the 1880s public. The shape of the side is an exponential curve, which is the mathematical solution to the problem of greatest resistance to horizontal wind forces with minimum use of building material. 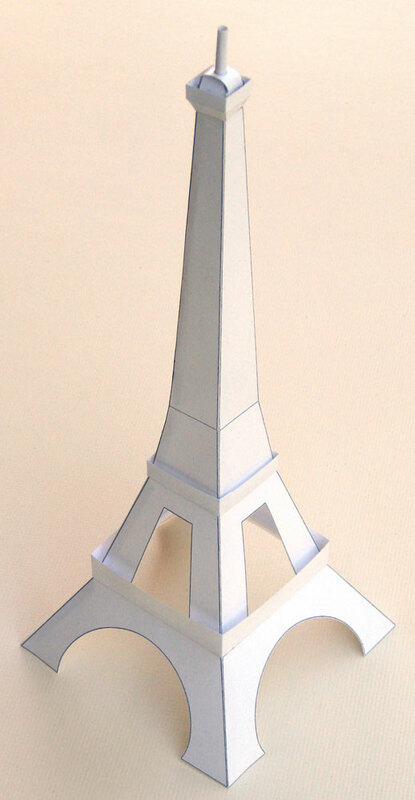 This page discusses how to make a simplified model of the Eiffel tower from three sheets of paper. I will give the reason for this exercise at the end, but if you want to keep up the excitement, don’t go there now to read it! Rather than trying to add details or print photos onto the paper, I decided that a very stylised version would be more appealing. 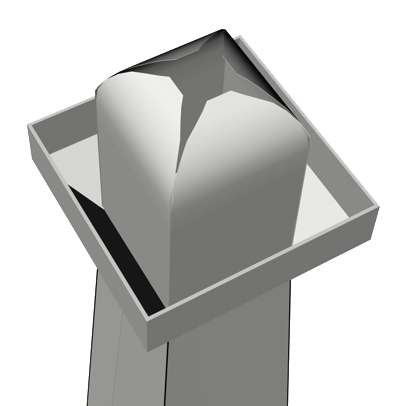 To build the model, download the pdf cut-out designs. 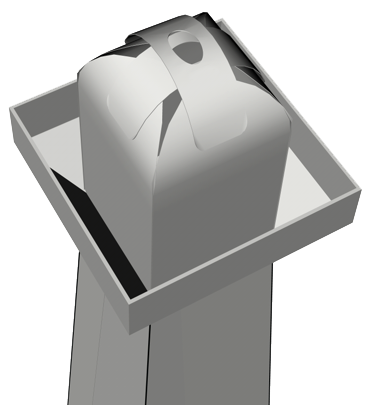 Print them onto rather heavy paper, say 150g/m2 (but not heavier). Normal paper weighs about 80g/m2 and good photo-quality paper weighs 150g/m2. This is in itself already rigid and it’s essentially done! What follows is largely ornamentation. Assemble the three “floors” and glue them on. If you used the right thickness of paper (i.e. about twice as heavy as normal photocopying paper) and you did not use too much glue, then your paper model weighs about 7grams. It may seem flimsy, and you can certainly crunch it up easily! 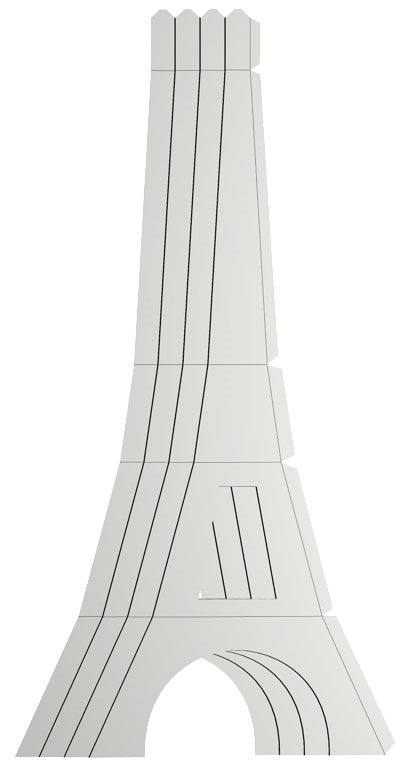 The paper model is about 30cm high, in fact it is a model on scale 1/1000. 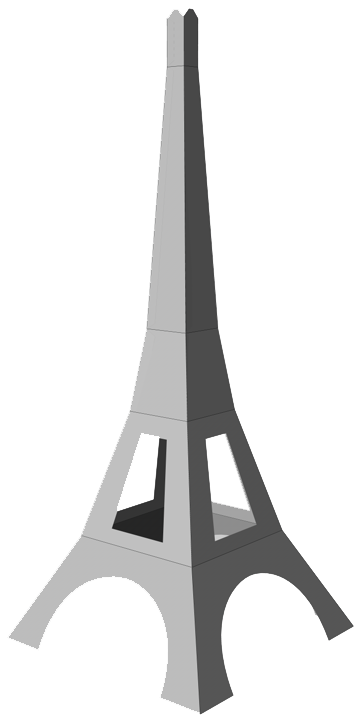 The model therefore takes 1000x1000x1000 times less volume than the real tower, one billionth. 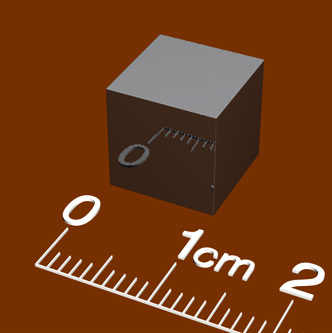 If you were to make an exact model in metal (iron, not quite steel) on scale 1/1000 then it would also weigh only a billionth, i.e. it would weigh 7'100'000 kg divided by 1 billion, or 7 grams. 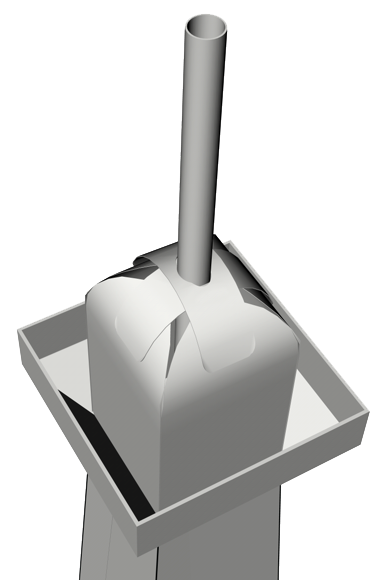 Your paper model weighs the right weight of an accurate model! If you had made that accurate model out of iron, like the real thing, you would have used 7 grams of iron. Iron has a density of 7.87g/cm3 so that would have been less than 1cm3 of iron!